July 23, 2015 /in In The Studio /by Candice W.
I hate to tell you, but VHS tapes won’t last forever! Even if your tapes don’t encounter water or fire damage, age can damage them all the same, so be careful on how long you debate! In the late 70’s we first saw the introduction of the video cassette recorder-player. This completely changed our TV viewing habits and also introduced the ubiquitous video rental store. Remember Blockbuster? Next came the video camera which enabled us to all become budding Martin Scorseses, capturing those priceless family occasions such as weddings, birthdays, bar mitzvah, baptism, graduations, your Father snoring and every other family gathering. All of those events captured as a frozen moment in time. Today those home movies are priceless collections of family moments, frozen in time for us to enjoy. But in this case, time is your enemy. The coating on video tape is called a binder and it is made up of magnetic particles. It is these magnetic particles that contain the precious pictures and sound that you have captured over the years. This coating is very thin and can deteriorate over time which results in poor quality. This even has a technical term known as Remanence Decay that shows up as loss of color and detail. 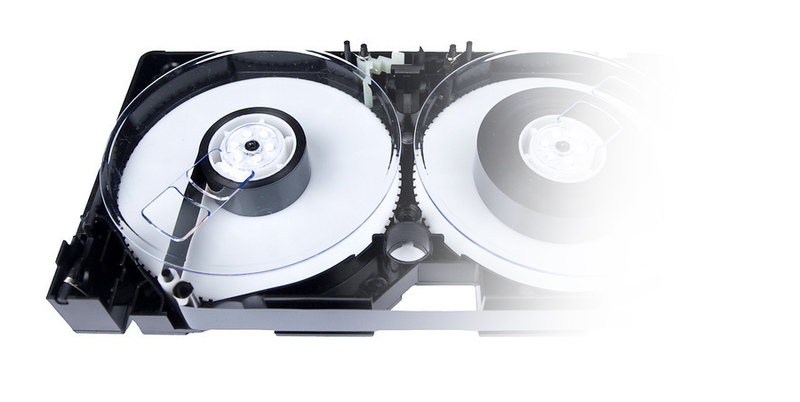 Tapes lose 10-20% of their visibility over 10-25 years! In a May 2015 eBay put together a really nice guide on the subject of VHS deterioration, click here to check it out, and learn more on the subject. Deterioration and demagnetization can also happen if the videos are stored near a strong electromagnetic field such as a speaker, TV or stereo. Employee Spotlight: Daniel Chevalier What is a 35mm Slide?